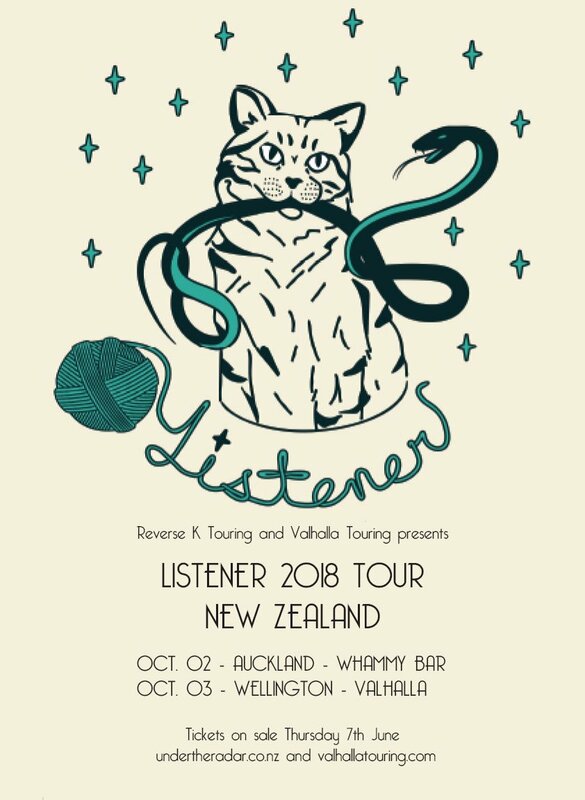 IT’S BEEN A LONG TIME COMING, but Kansas City’s LISTENER is finally bringing their unique brand of ‘Talk Music’ to patient fans in New Zealand this Oct as part of the now sold out Yours & Owls Festival, and doing a headline run of their very own. If your best friend was a band, who would they be? I think they might be something like Listener. Because LISTENER is a band of best friends, who have experienced the best and worst of times, and have survived on songs. No one knows you like they do and no other band can describe how you feel like they can. They have captured just the right words and just the right sounds and pinned on them all of our deepest emotions, our greatest fears, our toughest challenges, and our unbridled hopes. This is a group that sticks close to your heart no matter where you go, who you’re with, or how you feel. When you put in a LISTENER album every song is like an old friend and every moment enjoyable. Beginning in 2002 as a solo act the band LISTENER has evolved over the years into a full fledged rock and roll band, and has toured the world over playing their brand of Talk Music. Based out of Kansas City Missouri with Dan Smith on vocals and bass, Kris Rochelle on drums, and Jon Terrey on guitar. With thought provoking stage banter, music that keeps your mind busy, and words that quickly take hold of your heart, LISTENER is a near perfect balance of what words and music are supposed to be. Their latest record ‘Being Empty: Being Filled’, is an incredible collection of songs, each a mini-biography of a notable inventor/creator from history. Produced by Josh Scogin (Norma Jean/The Chariot/‘68), ‘Being Empty…’ is a much heavier record than their previous releases, but no less emotional and engaging than their cult favourites – TIME IS A MACHINE (2013), WOODEN HEART (2010), & RETURN TO STRUGGLEVILLE (2009). Tickets on sale Thursday 7th June through Under the radar and Valhalla Touring.